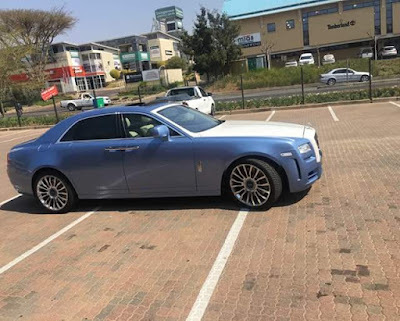 An Unidentified Thief Who Has Been Described By The Media As 'brazen', Stole A Rolls Royce Phantom From Vehicle Wrap Installer Located At The Glen Shopping Mall, Johannesburg on Wednesday Afternoon. The Luxury Car Was Found By Police two Hours Later Abandoned Near A House In Riverlea. Paul Maleke Of Luxuries Wraps Said The Suspect Came Into The Workshop Claiming He Was Sent To Collect The Car By Its Owner. The Man Then Walked Around The Workshop While The Crew Attended To Other Cars. The Next Minute‚ The Luxuries Wraps Team Saw The Car Driving Away From The Workshop. “Wrapping Was Already Done When This Man Came In. We Don’t Know How He Got The Keys But We Immediately Called The Owner As He Drove Off. The Owner Told Us That He Did Not Send Anyone To Collect The Car. 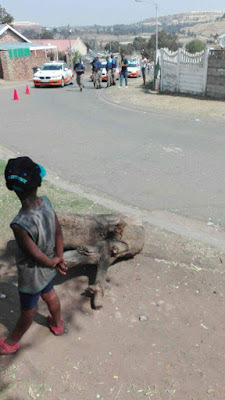 We Then Reported The Matter To The Police‚” Said Maleke. JMPD Spokesman Chief Superintendent Wayne Minnaar Said Police Were Led To The Car By Information From A Member Of Public Who Spotted It Speeding On The N12 Freeway After It Had Been Reported Stolen. 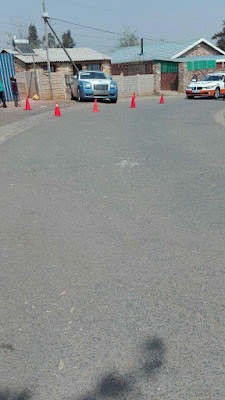 “The Suspect Left The Car In Riverlea And Fled On Foot As JMPD Officers Approached. The Car Was Found In Good Condition. 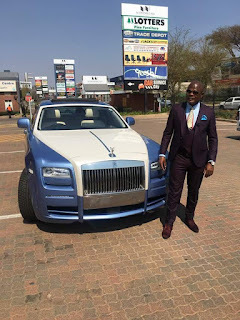 We Believe It Is Worth More Than R5-million. It Will Go Through A Verification Process Before It Can Be Handed Back To Its Rightful Owner Who Is Known To The Police‚” Said Minnaar. Brixton Police Spokeswoman Constable Phumi Kraai Confirmed That The Car Has Been Recovered And Will Be Handed Back To Its Owner Soon. Police Are Searching For The Suspect. A top Blogger, Entrepreneur, Software Developer, Social Media Marketer with immense love for music . You can add me on Facebook, follow my updates on Twitter , IG or add me to your circles on Google+! Jakophite is a reliable and trusted Online Media Company with awesome reputation. We connect and inform People Worldwide.